The revelation of a bid to appoint the Tui Cakau and SODELPA president, Ratu Naiqama Lalabalavu, party leader has reignited the debate on provincialism. The rationale to replace incumbent Sitiveni Rabuka by his Cakaudrove paramount chief has been overwhelmingly rejected by most of the 14 provinces who believe it should be done on merit, following the stipulated procedures and with transparency – not on the basis of someone’s chiefly status and which province is he or she from. That’s the irony because the whole SODELPA election campaign machine is provincial-based. Naturally, it will encourage provincialism. It is hard to avoid it and it takes political courage and vision to draw the line between what is right and what is wrong. The decision to decentralise the party structure to involve the 14 provinces has merits. First, it encourages power sharing and ensures the grassroots to have a voice. Second, it simplifies the work of the party and gives election candidates better opportunity and access to voters in the electorate. Thirdly, it cuts cost. Candidates do not have to travel all over the country to campaign. For this to work, it requires a united front. It means candidates must put aside their differences to achieve synergy in their messaging. But that is easier said than done because that’s the party’s greatest challenge. Whatever the motive was, the authors of the working paper that proposed Ratu Naiqama for party leader and deputy leader after the first proposal was thrown out, miscalculated its impact. Now it has backfired with supporters of Ro Teimumu rallying support for the Marama Bale na Roko Tui Dreketi, paramount chief of Rewa and Burebasaga confederacy and raising the stakes in provincialism. If Ratu Naiqama changes his mind in the last minute and decides to contest the election, then it could be misinterpreted. It would look as if he is only following Ro Teimumu, who at the moment, looks like the only high chief, who could hold the party together in the event that Mr Rabuka drops out of the election. She could regain the post she was forced to relinquish by sweeping changes in the party constitution. Other potential candidates for party leader are vice-president Anare Jale, MP Viliame Gavoka, MP Aseri Radrodro and SODELPA Opposition Whip Salote Radrodro. In the provisional candidates lineup so far, Rewa chief Ro Filipe Tuisawau and Lawyer Kitione Vuataki cannot be ruled out. The list shows Cakaudrove or Vanua Levu is light on representation. That’s probably why Ratu Naiqama’s name was proposed. Also he can counter the re-emergence of Ro Teimumu. It was the strong Vanua Levu lobby led by Mosese Bulitavu that called on Ro Teimumu to step down as Opposition leader after the exposure of the controversial Gaunavinaka Report. The report was critical of Ro Teimumu and the Opposition Office. It split the party and although attempts were made to reconcile and bury the past, the wounds haven’t completely healed. The row led to a loosely organised group of “reformers” which spearheaded the amendments to the party constitution. One of the changes required the party leader to step down if the party loses an election. It forced Ro Teimumu to give up the role. The “reformers” split up after some discovered that the movement was part of an agenda by the Vanua Levu bloc. 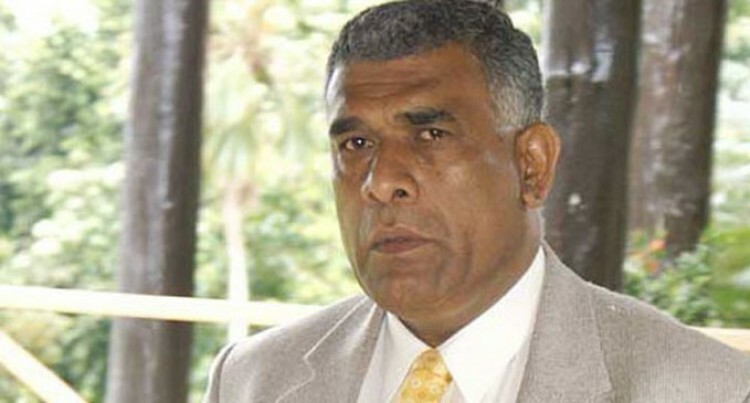 The bid to appoint Ratu Naiqama as party leader has reopened the old wounds.